I joined Ornette Coleman’s band on a tour of Europe in 1971. I found out late in the tour we were booked to play the Cascais Festival in Portugal. At that time Portugal was involved in a series of violent colonial wars in Angola, Mozambique and Guinea-Bissau. For me there were real parallels with America’s war in Vietnam. As far as I was concerned the country [Portugal] was run by a dictatorship and was as close to a fascist state as you could get. I met with Ornette and said I didn’t want to play in Portugal. He said he had already signed contracts and was obliged to perform. He asked me to play and said if I wanted I should try and make a statement about it. This I agreed to do. I knew there where dangers involved and didn’t want to put other members of the band in an uptight position. So I decided to make a personal statement during the concert. The last piece of music we performed on the night was one of my compositions Song for Che. I walked up to the microphone and dedicated it to “the black people’s liberationists fighting in Mozambique, Guinea-Bissau and Angola”. The cheers were deafening – you couldn’t hear most of the song. We came back on and did an encore, at the end Ed [Blackwell], Dewey [Redman] and myself gave a clenched fist salute. Pandemonium broke out, there were fights in the crowd between leftist and pro-dictatorship jazz fans. The rest of the festival was immediately cancelled and I was warned not to stay alone by a mean looking promoter. The next day when I was attempting to leave the country I was arrested and interrogated by Portugal’s secret police for several hours. I was only released and deported because of Ornette’s intervention. He got hold of the US Embassy who finally persuaded the Portuguese authorities to release me. I won’t lie, I was truly scared, but my fear was nothing compared what the liberation freedom fighters or the young Portuguese army recruits who refused to fight went through. I’ve thought about it a lot – would I do it again? I can honestly say yes. Good people have always got to act in what they believe in otherwise nothing will ever change. Those were the inspirational words of bass player and bandleader Charlie Haden when I interviewed him in 2002. It’s been my privilege over the last 15 years to have interviewed him on several occasions and met with him to discuss war, peace and the “American Dream”. On Saturday morning I learnt of Charlie Haden’s tragic death. This is my tribute to his life and music. Charlie was born on 6 August 1937. His mother and father named him Charles Edward Haden – everyone else called him Charlie. He was born and raised in Shenandoah, Iowa. 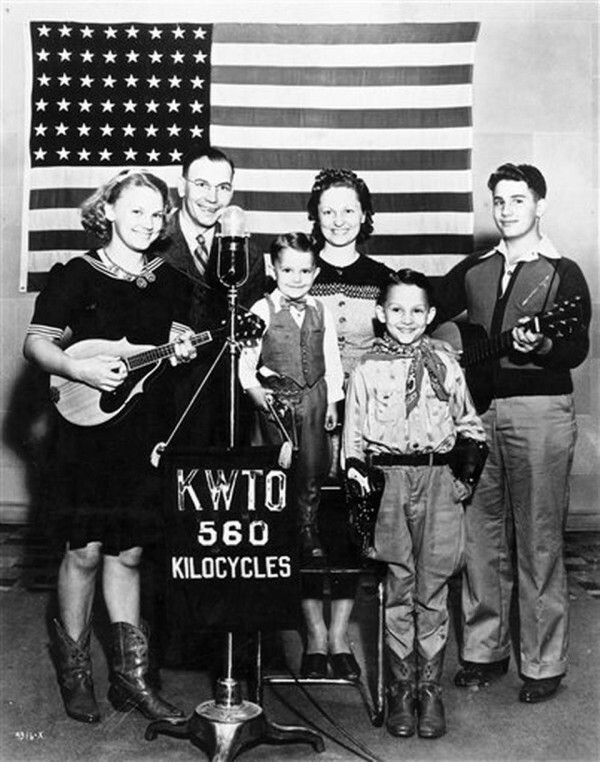 The Hadens were a musical family. Charlie made his first professional performance at the prodigious age of 22 months: he sang with his parents and older brothers and sister in country music band, the Haden Family. Music can bring people of all races together. My mom used to take me into the African-American church when I was, like, eight or nine, and we’d sit in the back row and listen to the choir. That was one of the most meaningful experiences in my whole life. My parents were on the Grand Ole Opry. They travelled all over the country singing hillbilly music. That’s what they called it back then. They were friends with the Delmore Brothers and the Carter Family. We were not a political band, in the way that [Woody] Guthrie, [Pete] Seeger or [Josh] White were, but the pro-union, left-Democratic and anti-racist outlook permeated my consciousness… it still does. At the age of 15 Charlie contracted polio. This weakened his vocal cords and ended his singing career – he took up playing the bass. In 2008 Charlie recorded the album Charlie Haden Family & Friends: Rambling Boy. It gives a deep and thoughtful interpretation of the music he grew up listening to and performing. The Haden family moved to Los Angeles in 1956 and Charlie enrolled in Westlake College of Modern Music. He cut his chops performing with a number of west coast jazz legends including pianist Hampton Hawes and saxophonists Dexter Gordon and Art Pepper. From the late 1950s until his death Charlie played on and recorded an enormous number of records, but there were a number of important stages in his career. Charlie’s introduction to Ornette Coleman and his musical ideas in the late 1950s had a profound impact on Charlie’s musical development. The freedom to play unhampered by the restrictions of four, eight or twelve-bar units was one of the key factors in establishing Coleman as the first “free jazz” musician. Coleman abolished pre-ordained harmonic structures from his music. 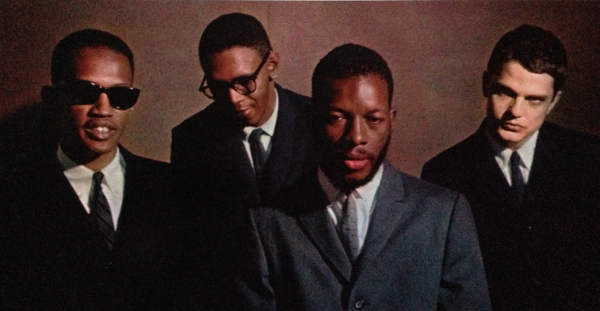 Ornette Coleman’s groundbreaking free jazz quartet comprised Coleman on saxophone, Don Cherry on pocket trumpet, Ed Blackwell or Bill Higgins on drums and Charlie Haden or Scot Le Faro on bass. They made a number of pathbreaking recordings for Atlantic Records: the quartet sessions The Shape of Jazz to Come (1959), Change of the Century (1959) and This Is Our Music (1960) and the double quartet Free Jazz (1961), which also featured Eric Dolphy and Freddie Hubbard.The track below is called Lonely Woman, a free jazz classic. The work of Coleman in this period had a massive impact on the work of John Coltrane and Sonny Rollins. Charlie Haden moved to New York in the early 1960s and performed with Albert Ayler, Archie Shepp and a whole host of other great jazz musicians. He joined Keith Jarrett’s band in 1967 and performed and recorded with him throughout his career. Working and living in New York, put me in contact with a number of anti war activists and campaigners. I attended political lectures and protests. I had massive concerns about what was going on in the world because of the war in Vietnam and the bombing of Cambodia. I decided I had to make a musical statement: I decided to play some political songs from the Spanish Civil War. I wrote a song about my own political hero Che Guevara and I wrote a piece about the Chicago Democratic Convention in Chicago in 1968, where people were beaten off the streets. I contacted all my old friends that I played jazz with – Don Cherry, Paul Motian, Dewey Redman and the great Roswell Rudd and asked them to join me. I called up Carla Bley, who’s a great arranger and composer, and asked her to write the arrangements. The music is a glorious mixture of big band jazz, Latin Jazz and protest song. Here is the track El Quinto Regimiento. The rest is, as they say, musical history. The Liberation Orchestra was not a one off: every time Charlie wanted to make a political statement he has re-launched the project. In 1982 he released The Ballad of the Fallen, a rejection of Ronald Regan’s military wars in Latin America. In 1990, the Liberation Music Orchestra released Dream Keeper: again it was a musical manifesto in support of those in South Africa struggling against Apartheid and those opposing US imperialism in Latin America. And in 2005 he released Not in our Name. This was a musical polemic against George W Bush and his “war on terror”. But agitprop this is not. It is big band music of the highest calibre, incorporating numerous musical styles. Charlie was a very spiritual human being with strong humanitarian and political views. Although he never said it, his politics were very much influenced by a combination of the Popular Front period of the US left and the New Left of the 1960s. While he hated US foreign policy and the poverty he saw around him, he always conveyed a sense of patriotism towards the US, while simultaneously stressing the necessity for political reform. 1987. Quartet West’s albums are a homage to film score music from the 1930s and 1940s. Haden’s vision for Quartet West was the beginning of modernism in jazz. The band recorded eight albums in total – the last Sophisticated Ladies in 2011 included vocal performances of standards by Norah Jones, Cassandra Wilson, Diana Krall and Haden’s wife, Ruth Cameron. Throughout the 1980s, 1990s and 2000s Charlie collaborated on a number of exquisite albums. His 1997 collaboration with Metheny, Beyond the Missouri Sky are chamber duets that transcend genre, and his sessions with Cuban pianist Gonzalo Rubalcaba, Nocturne (2001) and Land of the Sun (2004), were pathbreaking Latin jazz albums. There is so much more to say about Charlie’s music – there are the Black Saint and Soul Note recordings of the 1970s, his recordings with Alice Coltrane and Joe Henderson… his musical achievements go on and on. The death of Charlie Haden is a huge loss to the musical world. This is a recording of Charlie Haden and Pat Metheny performing Cinema Paradiso. I can’t think of a more fitting tribute to a beautiful man.